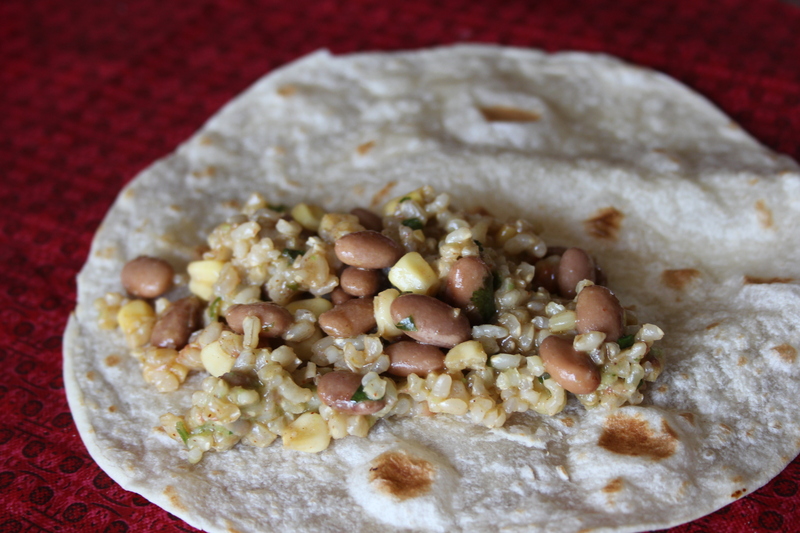 This entry was posted in beans, Dinner, Recipes, vegetarian and tagged bean recipes, Beans and Rice, Rice and Bean Tortillas, vegetarian dinners, vegetarian recipes. Yum! I could eat that every day. The dressing sounds great, I usually just top my rice & beans with salsa! That does look really delicious and from the sound of the ingredients it’s really flavoursome.